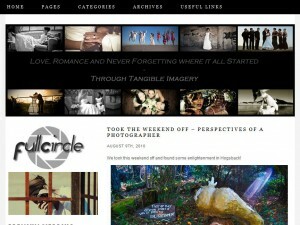 We love to highlight local photography websites and this week we’re picking Full Circle Photography. Marius and Michelle seem to have a passion for wedding photography which is evident in their words and images. Their website also serves as another great example of a combining a portfolio site with a blog. I am not even looking for a wedding photographer but I find myself drawn more to such sites where one almost feels like they are building a relationship without evening having met. If you have a website of your own or any other photography site that inspires you and you wish to share it then feel free to contact us. Thank you for you recognition! We LOVE photography!